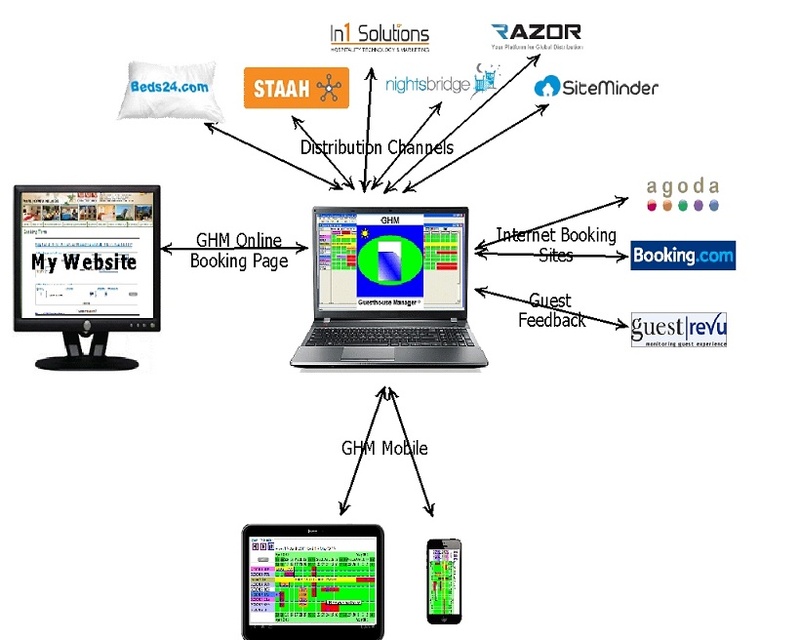 GHM© is a unique software for the management of reservations/bookings for guest houses, B&Bs, hotels, campings, self catering,... it's an affordable, user friendly, easy to learn up-to-date reservations management software for all types of accommodation establishments. The program has been designed by somebody with a large experience in both worlds: 15 years in software design and 5 years in guest house management. Try it out! Download the full version for free! Up to 50 bookings can be entered and all functionalities can be used. If you are convinced of the quality of the progam, you can place your order Once we received your payment, we will provide you a key to remove the limitation of 50 bookings.